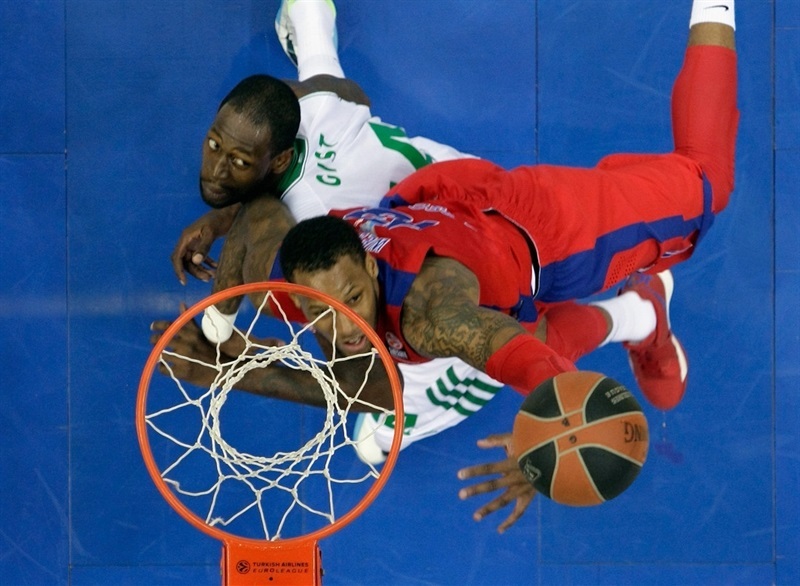 In the first playoff game of their already-great rivalry, overtime was needed before CSKA Moscow could prevail in Game 1 of their best-of-five playoff series by downing Panathinaikos Athens 77-74 at home in the Russian capital on Wednesday. CSKA has a 1-0 lead in the series and hosts Game 2 in Moscow on Friday. 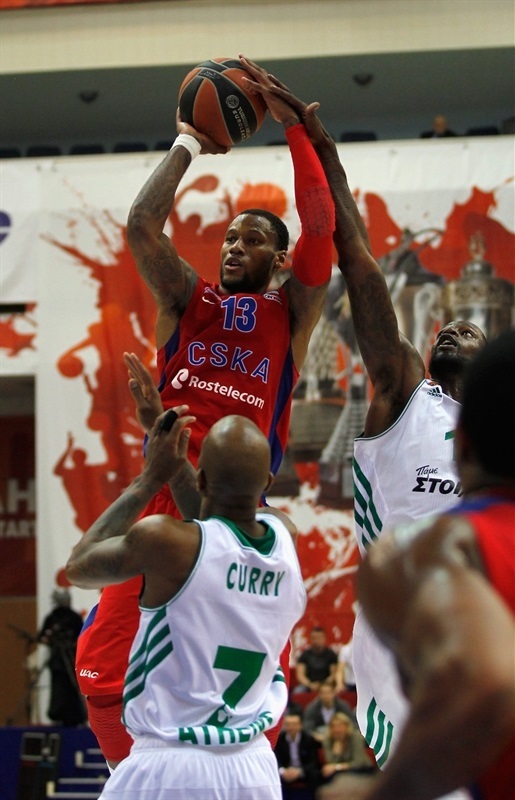 Sonny Weems led the winners with 21 points, 10 of which came after CSKA trailed 67-62 with less than 3 minutes left in the fourth quarter. Victor Khryapa added 17 and 11 rebounds, Kyle Hines had 15 points and 8 boards while Vitaly Fridzon scored 10 points for CSKA. 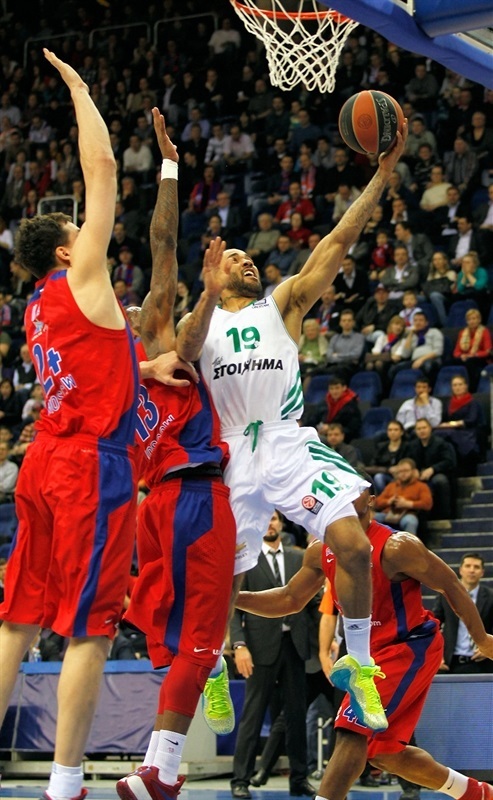 Jonas Maciulis and Stephane Lasme led Panathinaikos with 14 points apiece. Zack Wright added 12 points while Dimitris Diamantidis had 10 and 7 assists for the guests. Hines led an 8-0 run which allowed CSKA lead 21-14 margin after one quarter. 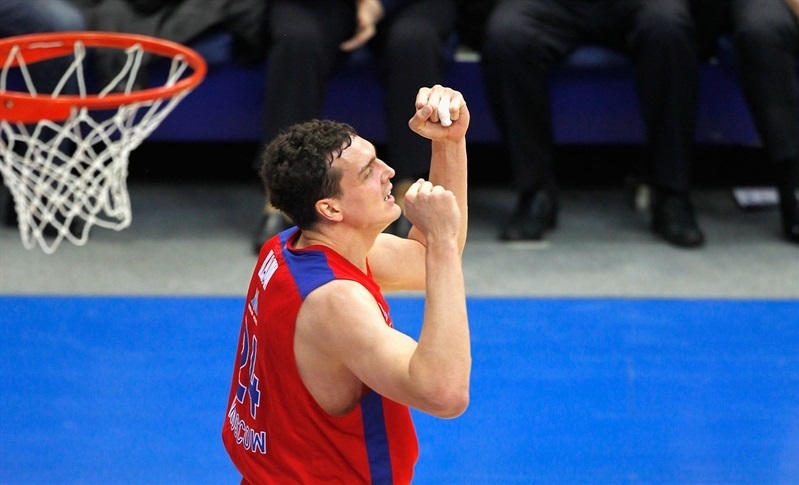 CSKA's lead reached double-digits on driving layup by Fridzon at 29-18 in the second quarter. Wright and Loukas Mavrokefalidis brought Panathinaikos a bit closer, 40-33, at halftime, and then a rain of three-pointers by Maciulis, Antonis Fotsis and Diamantidis got Panathinaikos to within 58-56 after 30 minutes. A layup by Lasme completed the guests' comeback, 60-62. The game went down to the wire, free throws by Hines took the game to overtime, 72-72. Wright stepped up with a layup early in overtime, but Panathinaikos went scoreless in the final 4 minutes as Weems and Hines made sure of CSKA's hard-fought victory. To start the game, Panathinaikos forced CSKA into 3 consecutive turnovers, from which a fastbreak layup by Jonas Maciulis gave the Greens a 0-2 lead. 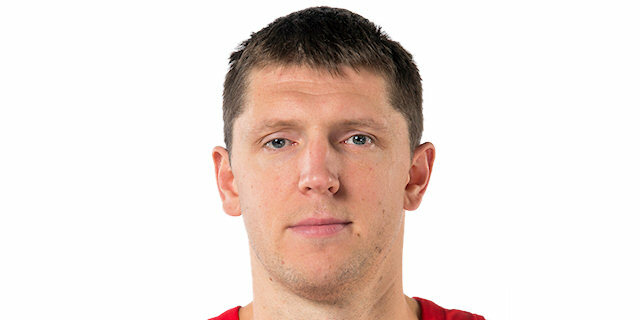 Khryapa sank a long two-pointer and Weems a mid-range shot for a CSKA's first advantage, 4-2 CSKA. Roko Ukic stepped up with a put-back layup before free throws by Maciulis put Panathinaikos back ahead, 4-6. 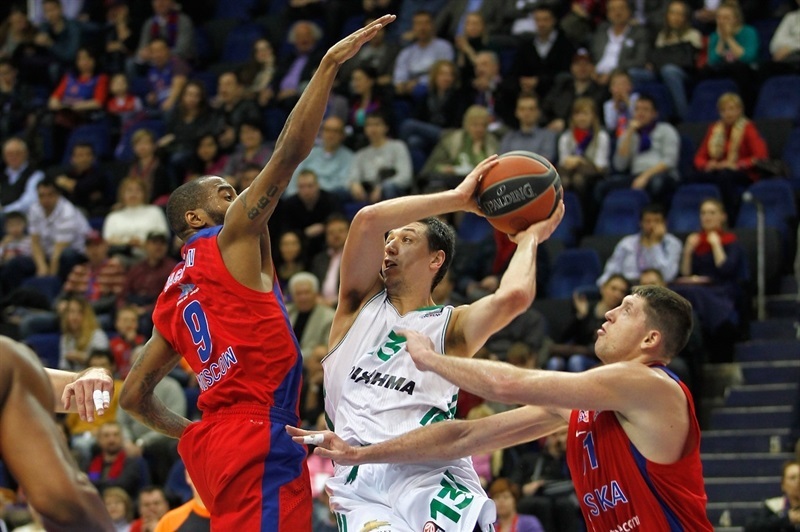 Hines hit a two-point jumper as CSKA forced the Greens into long possessions ending with off-balance shots. So when Weems struck from downtown and Hines put back an offensive rebound, the hosts led 11-8. Another inside basket by Hines and a free throw by Nenad Krstic upped the difference to 14-8. As the CSKA defense held Panathinaikos scoreless for almost 3 minutes, a three-point play by an unstoppable Hines capped an 8-0 CSKA run. Zack Wright ended the Panathinaikos drought with a reverse layup and James Gist followed with a fastbreak layup that brought the guests within 17-12. Aaron Jackson answered with a wild driving layup that Maciulis answered with a turnaround swish, but Vladimir Micov beat the buzzer with a driving layup, good for a 21-14 CSKA lead after 10 minutes. Stephane Lasme shined early in the second quarter with a huge block on Jackson and free throws. Jackson did better with a three-pointer that gave CSKA a 24-16 margin. Wright hit a floater in the lane which Vitaly Fridzon improved upon with a catch-and-shoot triple. Panathinaikos tried twin point guards with Diamantidis and Wright together on court, but a driving layup by Fridzon boosted CSKA's lead to double digits, 29-18. A five-meter jumper by Krstic forced Panathinaikos head coach Fragiskos Alvertis to call timeout at 31-18. 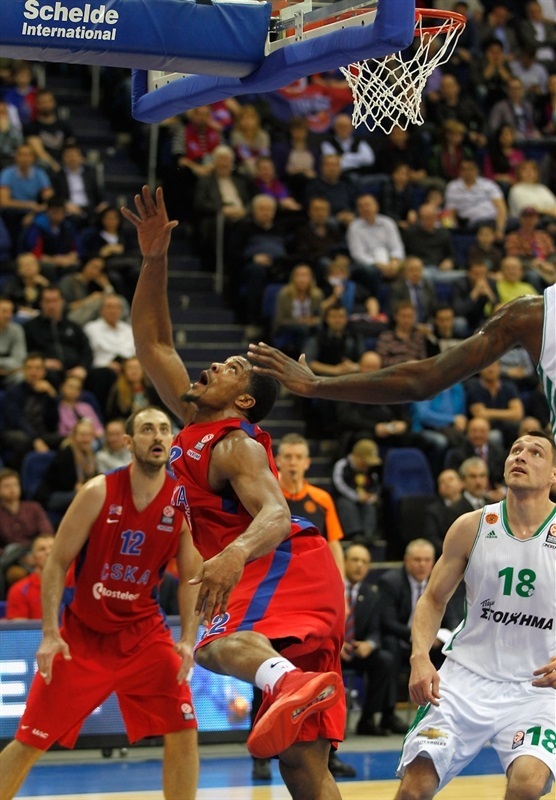 Gist followed an off-balance shot with a backdoor layup to get Panathinaikos within 31-22. Khryapa struck from downtown and matched Loukas Mavrokefalidis's follow-up layup with a jumper that gave CSKA a 36-24 margin. Diamantidis fed Wright for a backdoor layup, but Hines responded by beating the shot-clock buzzer with a close basket. 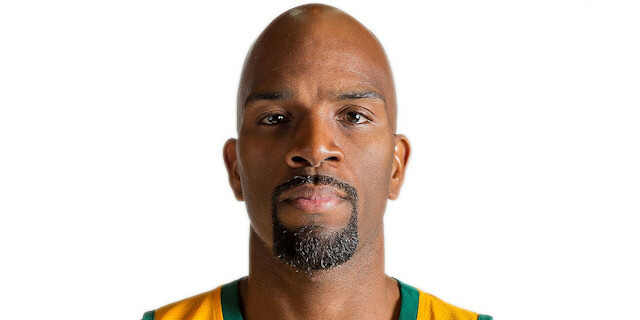 A jumper by Mavrokefalidis kept Panathinaikos within 38-28 before free throws by Ramel Curry, Weems and Wright fixed the halftime score at 40-33. Lasme opened the second half with a huge dunk and a fastbreak layup, bringing Panathinaikos within 40-37. Krstic stepped up with an off-balance basket, as CSKA adjusted its defense to stop the Greens from scoring in transition. Khryapa scored around the basket and traded triples with Maciulis to give CSKA some fresh air at 47-40. But Maciulis kept pacing Panathinaikos with free throws and another three-pointer, and suddenly the visitors were within 47-45. Weems came to CSKA's rescue down low and a baseline jumper by Khryapa extended the margin to 51-45. Antonis Fotsis, who had been scoreless until then, buried a three-pointer, and after Khryapa made free throws, he dialed up another from downtown that got Panathinaikos back to within a shot, 53-51. Fridzon buried a jumper off a screen and then answered Wright's runner with his own corner three-pointer to restore a 58-53 CSKA margin. But after 5 previous misses, Diamantidis joined the three-point shootout to keep Panathinaikos within 58-56 after 30 minutes. Jeremy Pargo split free throws early in the fourth quarter but Panathinaikos kept controlling the game tempo with Wright and Diamantidis together on court. 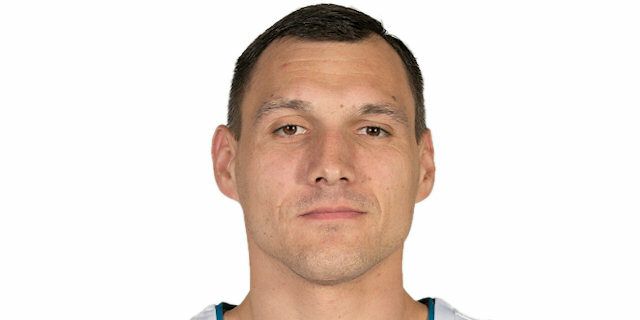 Sasha Kaun made a foul shot - his first point - but Diamantidis hit his trademark step-back triple and Lasme tied the game, 60-60, with under 7 minutes to go. CSKA could not find the way to the basket for more than 2 minutes and a layup by Lasme completed Panathinaikos's comeback, 60-62. 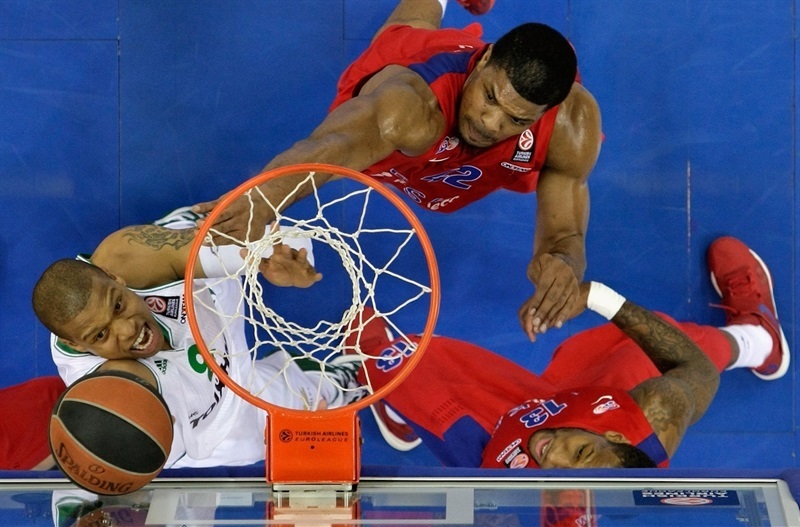 CSKA called timeout and Weems stepped up with a high-flying driving layup, but Diamantidis matched him at the other end. Lasme made 3-of-4 free throws to suddenly give Panathinaikos a five-point game, 62-67, with under 3 minutes left. Weems nailed a three-pointer out of a CSKA timeout and Michael Bramos missed from downtown but grabbed the offensive board, allowing Diamantidis to give the Greens a 65-69 edge. Weems made free throws and Gist split attempts for a 67-70 score in the next-to-last minute. Weems tied the game with a wild triple, but Gist answered with a wilder tip-in, good for a 70-72 Panathinaikos lead. Hines drew a foul and made free throws with 30.1 seconds left that were enough to force overtime after Bramos missed from downtown for Panathinaikos, as did Jackson for CSKA on off-balance shot at the buzzer. 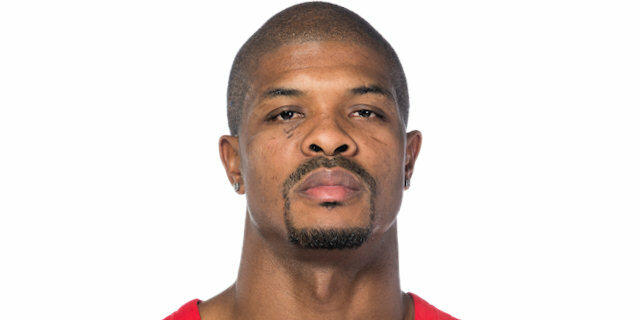 Overtime: Weems steps up, CSKA wins it! 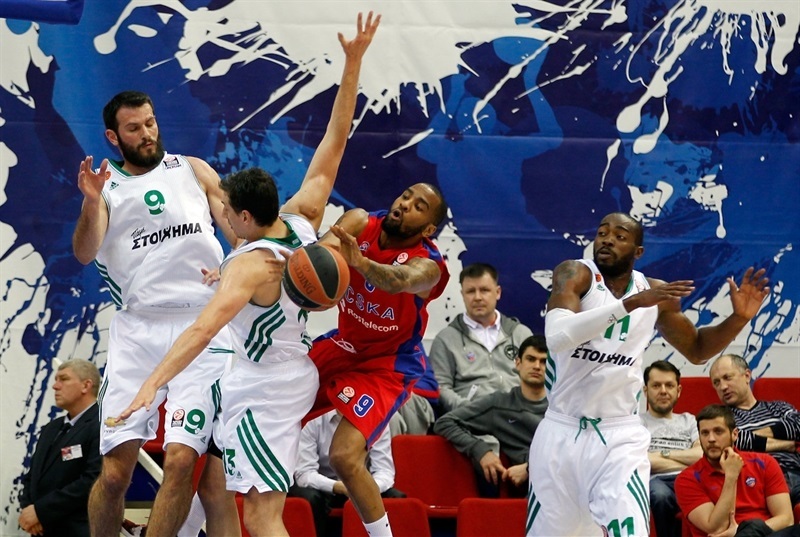 Both teams struggled to score in overtime until Diamantidis fed Wright for a backdoor layup. 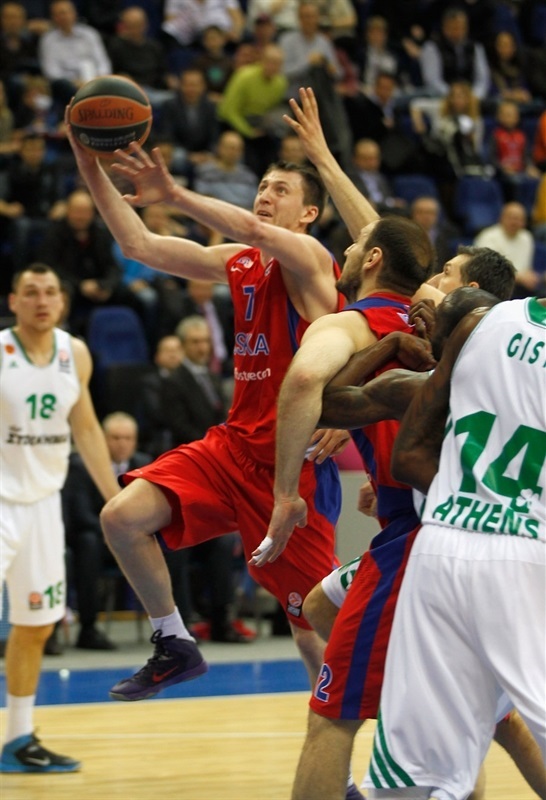 Diamantidis missed 2 free throws, but CSKA could not find the way to the basket, with Gist locking up all defensive boards. Khryapa split foul shots before a close jumper by Hines made CSKA regain the lead, 75-74, with 2 minutes left in OT. Weems grabbed a key offensive rebound, drew Gist's fifth foul and gave CSKA a 76-74 edge at the foul line with a minute left. Maciulis missed from downtown with 40 seconds left, and CSKA looked to Weems again. He returned to the free throw line but missed his first attempt, giving the hosts a 77-74 edge with 21 seconds to go. Diamantidis had the chance to tie it with a three-pointer, but it went off the backboard and out, allowing all CSKA fans to celebrate a hard-fought win. "The game was difficult, as you saw. We started with turnovers both in the first and second halves. But if in the first one we were able to calm down and continue to play as we can play, in the second we were nervous and complicated our life. With a great comeback at the end of regulation, we managed to overcome the lack of poise and excess nerves which hunted us for most of the night. We knew it would be difficult series and we have to be ready for the Game 2." "It was a great game and we played very well, especially in the second half. But we lost concentration in some moments. Although we had chances to win, we lost, and we have another game here ahead of us. That's the life of basketball player and a coach, to manage this kind of situation. Now, we have to take the best from this game to the next one." "It was hard game for us. We expected Panathinaikos to be a very physically strong team. We knew it would be not so easy to beat them. But we overcame it and came back in the end, when they missed some big shots, and us having great team defense at the same time. But we got the first step to our final goal." "As we expected, the game was tough. The Top 16 experience showed that the four teams in each group are positioned not by their strength, because all of the teams are strong. Even if you are in first place and get a competitor from fourth place, it does not mean that you will take part in Final Four. Panathinaikos showed skilled basketball. I am glad we had enough patience to improve our game and win." "It was a tough game. We have made crucial mistakes and missed some important three-point shots in the end. CSKA is a good team that used those mistakes. We cannot expect wins on the road having such errors in shooting. That is the most important thing for us, because in the end we had all chances to win but crazy shots hurt us a lot." "It was a good game for us. CSKA took care of their business as possible at home. But we played pretty well today, we had our chance and we look forward to Friday."